Posts are what make your website’s blog or news section a blog / news section. They are individual articles on anything you want, and usually displayed on your website is reverse chronological order, with the newest entry on top. From the Admin Area, there are several ways you can create new posts. You can create a new post from the [+ New] dropdown on the admin bar, or from the [Posts] > [Add New] option on the sidebar. On the [Add New Post] page, you are presented with a WYSIWYG (What You See Is What You Get, pronounced wiz-ee-wig) editor that you can use to write your blog post or news article. You can use the formatting tools in the [Visual] to style your article, or you can use the [Text] view to add HTML code directly to the article. For example, the [Text] editor handy for embedding Tweets from Twitter. Depending on your WordPress theme, you may be able to set a [Format] for your article or blog post. Post Formats can be used to distinguish your content visually from one another, for example, a Video post may include a video player, compared to a regular or Image post. There are many post formats to choose from, but not all are supported by all themes. Standard – Your normal, average, everyday blog post. This is the default styling for your theme. Gallery – Usually will show a thumbnail from the blog post, as well as an excerpt of what the gallery is about. Status — Short updates about what you’re doing right now. Chat – These posts highlight snippets of memorable conversations you have with friends, both online and offline. Tags and Categories are a example of a Taxonomy. A Taxonomy is a method of classification used to group posts of shared attributes together and naming them. Tags and Categories are a useful tool, which helps the user identify what the post is about and help the reader know if they are in the right place. Categories are like a table of content for your website. They are used for broad grouping of the posts. They are a hierarchal taxonomy, which means that they can be sub-categorised. It is compulsory for each post to have at least one Category. The default category for all posts is usually “Uncategorized”, but this can be changed if needed. Tags are the index words of your website. They are meant to describe specific details of your posts. Unlike Categories they are not hierarchal, which means they cannot be sub-categorised. Unlike categories, tags are optional. Media such as images, image galleries, slideshows and downloadable files can be included in your posts. Images, galleries and slideshows in particular can help make your posts and pages more attractive and immersive to the user. By clicking on the [Add Media] button inside of the post editor, you can add single images, create galleries out of a groups of images, embed rich media such as audio or video, create download links to document files, and more. 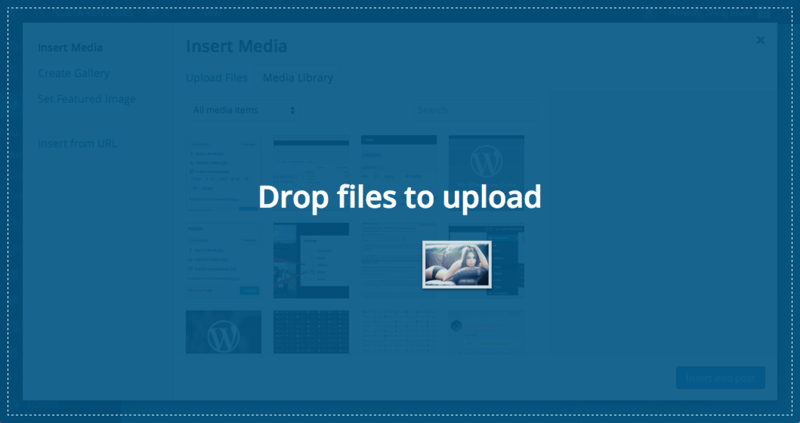 WordPress provides a Upload interface for you to select or drag-and-drop media files directly into the [Insert Media] screen. 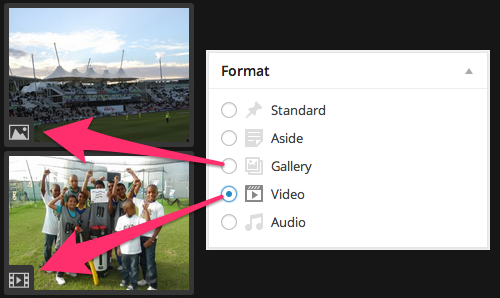 From the [Media Library], you can then insert an individual image into a post, create a gallery by selection two or more images, or set a “Featured Image” (theme dependent). Depending on the theme, you may be able to set a “Featured” image for your article, which will display where ever your post appears on your site. Different themes handle this in different ways, for example, most themes will use the featured image to display a small thumbnail next to the title and excerpt of an article. Other themes use the featured image to display a large image above the main content of the article. On the Cage Cricket website, featured images are displayed beside the title and description of the article. On this website, the featured image is used as both a thumbnail and a large image on the article itself. 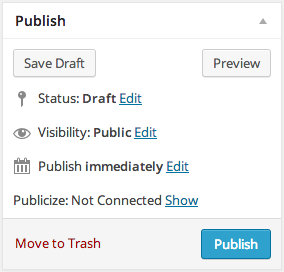 Change the [Status] of the post: This is useful if you want to later unpublish a post. [Draft] – An unpublished post. The post will not be visible to readers until the post is published. [Pending Review] – The post has been submitted by a Contributor. It must be published by an Editor or Administrator before it is visible to blog readers. [Scheduled] – When the post’s timestamp is set in the future for automatic publishing. See Scheduling Posts for more information. [Published] – The post has been published on your blog for all to see. Backdate a post. For example, creating a post for something that happened in the past, with a past date. If you don’t want to publish a post immediately, it can be scheduled for some time in the future. Scheduling posts is a useful tool to space out content on your website, in particular during days or times when you’re not available. For example, you can write a post on a Friday, but schedule it to post on a Saturday, making it look like your site is active even on a weekend. In the example to the right, I’ve scheduled a post to go out exactly at 12:00 AM on New Year’s Day 2015, wishing my readers a “Happy New Year”. This is just one of the ways scheduling a post is useful. By default posts are set to publish immediately. You can set a date (in the future or past) using the [Edit] button beside [Publish]. 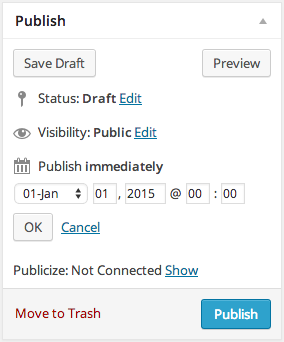 Once you set a date, click the [OK] button and the [Publish] button will change to say [Schedule]. 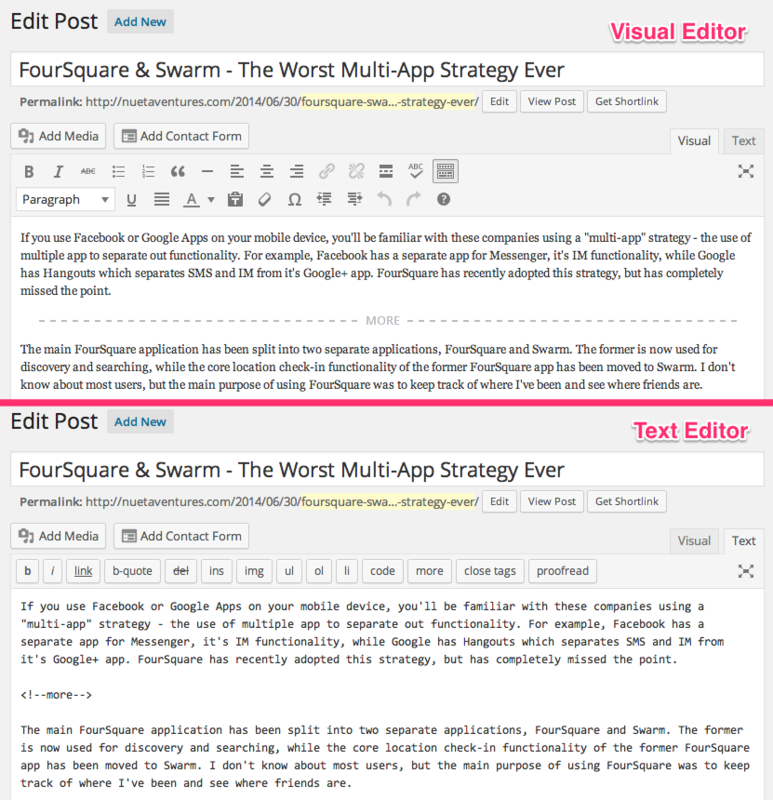 Once a post has been saved as a draft or published, you can edit it from the [Posts] > [All Posts] from the Admin dashboard, or directly from the article itself (theme dependent). From the post list, hovering over the title of an article will display quick links to [Edit], [Quick Edit] or [Trash] a post.